What does it mean when a man ties his tie correctly? Nothing really. It doesn’t make you stylish or cool. It won’t help you close that big deal or land a new job. I believe it’s just a life skill. Like being able to change a car tire. It’s just something you should know. Every man, regardless of his profession, at some put in his life will need to tie a tie. Doing it right won’t make you standout in a crowd. 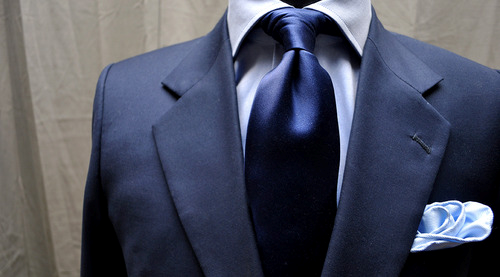 However, not having a proper knot will make you stand out… for all the wrong reasons. 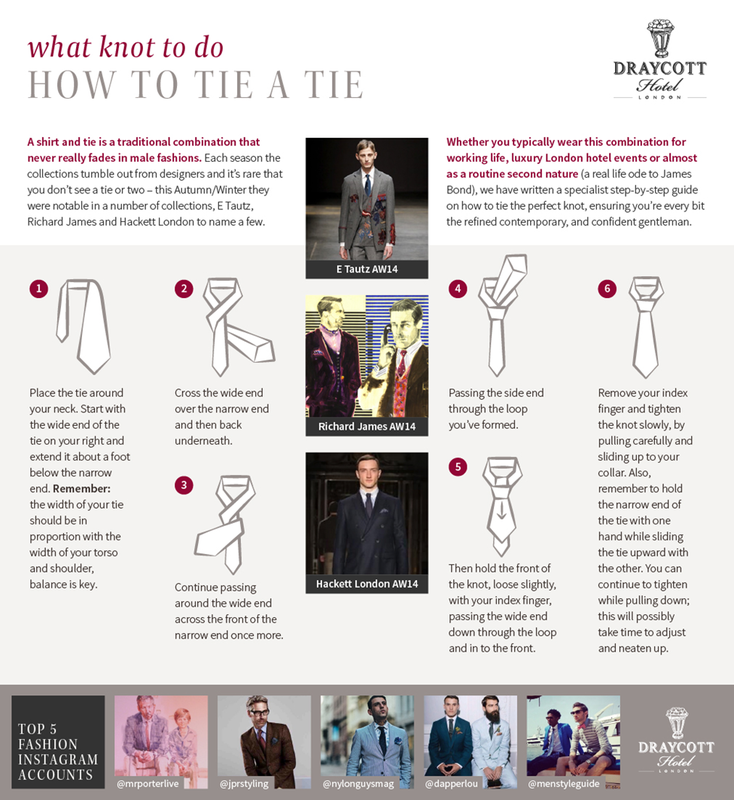 We thank our friends at The Draycott Hotel, Chelsea who have provided this wonderful infographic on how to tie the perfect tie. Attention to the little details is the difference between looking good and looking great. Dino da Silva is the Head Concierge at The Draycott Hotel. Dino has a number of years experience in the hotel industry and is passionate about dispensing London knowledge to help guests make the most of their stay.